His House > Blog > Addiction > What is Better for Addiction Treatment: Inpatient or Outpatient? What is Better for Addiction Treatment: Inpatient or Outpatient? There are two categories of programs generally offered by alcohol treatment centers – inpatient and outpatient. Both are as focused on rehab and recovery although each has its own attributes and benefits. Whereas inpatient alcohol rehab is residential with intensive treatment and care, outpatient rehab is a more flexible arrangement generally so the patient is able to continue attending work or school. The difference between inpatient rehab and an outpatient program is significant and so it’s important to consider which is the more appropriate of the two when seeking help from an alcohol treatment center. The important thing to remember is that contact with family and friends may be restricted to visits on certain days or scheduled phone calls. This is due to the highly structured nature of inpatient addiction treatment and an important contribution towards recovery. Each rehab center will have its own policy on how often family communication is allowed although it is widely accepted as beneficial to inpatients. The first step in residential rehab is medically-assisted detox which includes monitoring patients as toxins from drugs and alcohol leave their system. Around-the-clock medical care is provided throughout inpatient treatment which is particularly vital in the initial stages of detox where cravings can often lead to relapse. Inpatient or residential rehab is usually recommended when patients have been using for a number of years. Withdrawal in these cases can be extremely unpleasant and some, even fatal and for that reason, inpatient programs check vital signs through the detox phase and ensure the right meds are used to reduce the unpleasant symptoms. Outpatient addiction treatment is usually suitable for those who have not been using for extended periods of their lives. In these cases, patients are often holding down jobs or going to college and managing their lives effectively. The more flexible outpatient treatment program is more appropriate in these cases. Treatment includes one-to-one and group sessions that focus on education on drug abuse and talking through mechanisms to help patients cope better with their lives without reliance on drugs or alcohol. Outpatient detox and recovery can last anything from 3 to 6 months and works well for those with mild addiction issues or for those requiring additional support following an inpatient program. Throughout outpatient rehab, patients are required to visit a specialist treatment facility or hospital to be monitored throughout the process. Although withdrawal symptoms are milder for people less addicted to substances, there can still be some unpleasant side effects that are difficult to deal with at home. By monitoring an outpatient’s health during detox, it is possible to prescribe any medication that may lessen the effects of withdrawal. The nature of a patient’s addiction determines whether an inpatient or outpatient treatment program is more suitable and can vary considerably from person to person. When reviewing facilities for addiction treatment, it’s worth finding out all the options available, although most rehab centers take the time to fully consult new patients to determine the best course of addiction treatment for their individual needs and requirements. 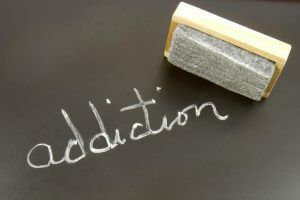 His House Rehab offers industry leading Addiction Treatment Programs. We were founded in 1994 and we base our Drug and Alcohol Treatment programs on five key principles: commitment, honesty, integrity, respect, and service. These five principles guide us in all that we do and all the care we provide. Contact us today to see how we can help you or your loved one at (888) 681-4594.